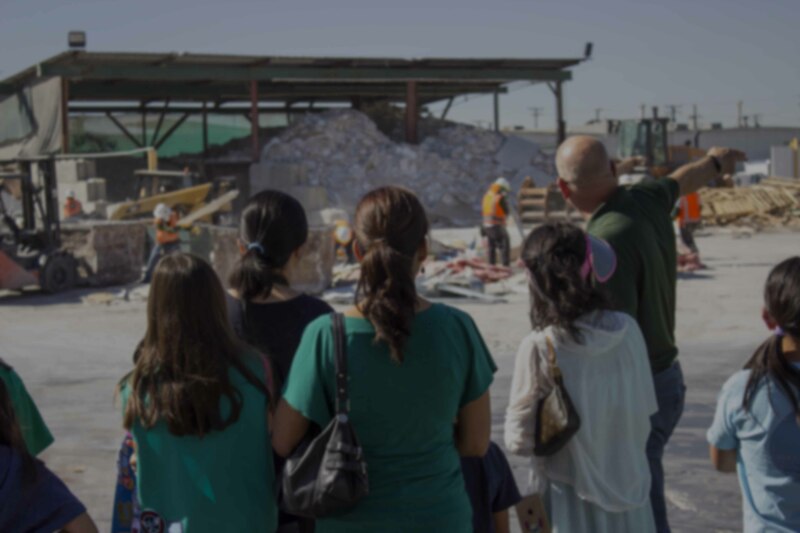 Construction and Demolition Recycling is the only C&D Facility in California that is concentrating solely on tenant improvement demolition debris; we had no choice but to take a leadership role because there was a vacuum that needs to be filled. Too many materials are being sent to landfills because they are not the low-hanging fruit that traditional C&D Facilities harvest. It became our goal to lead by example and show that the diversion of tenant improvement demolition debris could be done as efficiently and cost effectively as the debris from more traditionally recognized demolition debris. CDR has become the first and so far only recycling facility in Southern California that has earned 3rd Party Diversion Certification from The Recycling Certification Institute, making CDR the only facility in Southern California that is eligible to provide the US Green Building Council LEED Pilot Point for facilities with 3rd party verification. What we do at our facility is not a secret recipe kept under lock and key. The advantage that we have at Construction and Demolition Recycling is the fact that we didn't start out to be recyclers. We grew from an interior demolition contractor into what we have become today. Being fairly new to the industry, we had none of the preconceived notions that hampered other recyclers who had been in business for years. We used the analogy of the bumblebee - According to aerodynamic principles; the wings of the bumblebee are not big enough to support the mass of the bee's body. Since no one bothered to tell the bee, the bee just keeps flying. Similarly, the staff of Construction and Demolition Recycling jumped into the recycling world with completely open minds. Nobody had ever told us that we could not recycle most of the materials that are generally accepted as trash, so we looked for places to recycle them. 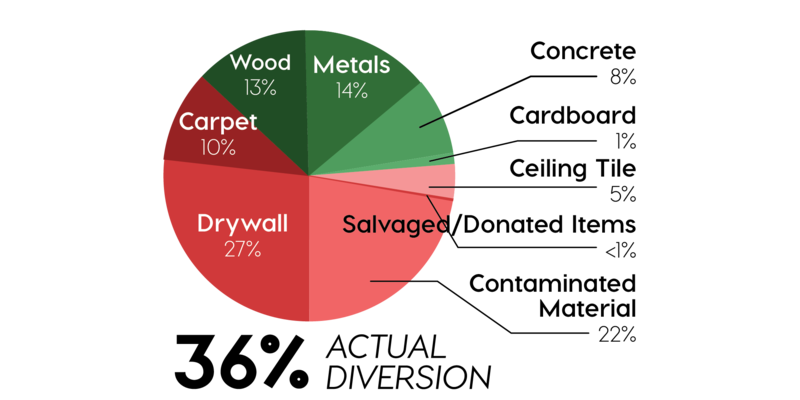 The drywall, carpet, and ceiling tile that we recover has long been regarded by many to be residual debris with no commercial or reuse value, and that accepted notion has limited the amount of time and energy that companies put into finding markets for these materials. Because we had no preconceptions about what could and could not be recycled, we looked for outlets, and eventually found them. All other construction and demolition facilities consider demolition debris to be concrete, asphalt, wood, dirt, and steel. While these are components of full building teardowns or "hard demolition" jobs, these projects only account for a portion of the demolition going on in urban areas. Many demolition jobs in urban areas are what we call "soft demo" jobs - the building core and shell are unaffected, but the interior is stripped so the next tenant can design their own space. These jobs produce little of the above-mentioned “traditional” materials, with the exception of steel and wood, but generate debris consisting of drywall, used cabinetry, carpet, ceiling tile, and office furniture. CDR has gone the extra mile, and has found markets for these materials. Our donation program is second-to-none; we reintroduce over 30 tons of salvaged materials into the community every month, with these items going to any non-profit in need. No organization is turned away, and the materials that have been donated have gone to orphanages, back to work centers, and homeless shelters as well as churches, fire stations and community outreach entities. 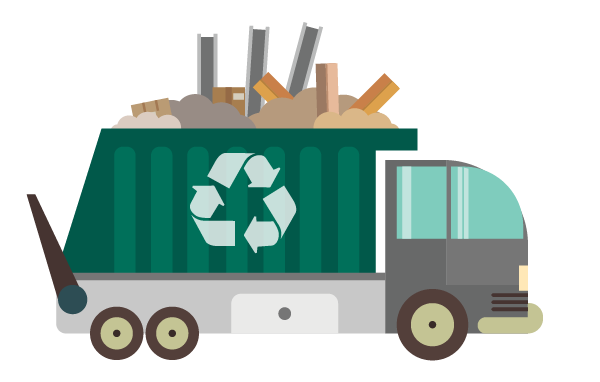 We have regularly shipped 800 tons of drywall, 101 tons of carpet and 420 tons of manufactured lumber for recycling or re-use every month for the last 5 years. Those numbers cannot be matched by any other facility in the country. We've donated to over 250 different charities over the last couple of years, and have also made our inventory available to local fire stations, police stations, and school districts. Whether it be more than 1,000 lineal feet of chain link fencing donated to the Wolf Mountain Animal Rescue, or the full industrial kitchen, complete with sinks, stoves, fryers, and ovens, donated to a Romanian orphanage, Construction and Demolition Recycling is donating more than 1400 tons of material every year. Materials derived from residential projects, full building demolition, road and bridge work and commercial interior projects. All diversion data is weight-based with no accounting for what materials are actually diverted in the formula. Construction and demolition debris recycling is tracked using a weight based formula and uses a “facility average” computation to arrive at their recycling percentage. This reporting and verification method is designed for cities and counties to verify total diversion for their area, but is useless on a job by job basis. 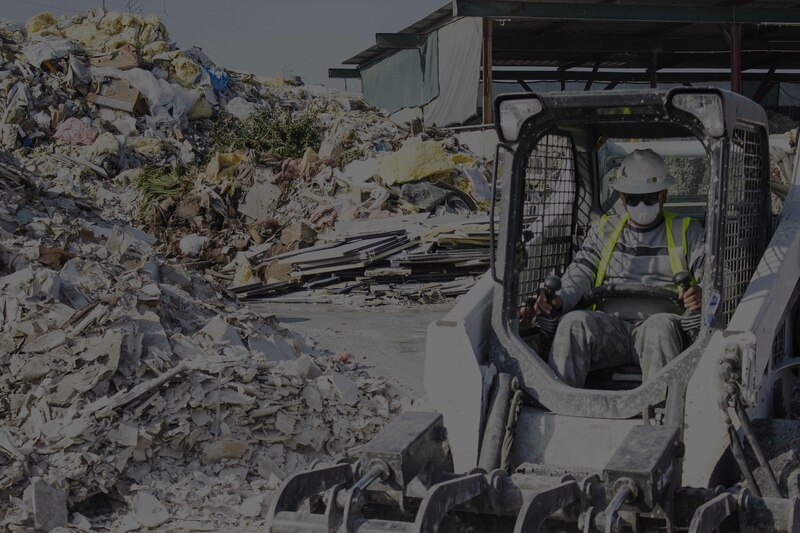 Standard facilities recycle the heavy, profitable materials from residential demolition, commercial structure demolition, and road and parking lot work. When these facilities accept materials from commercial interior projects they hide the lack of diversion of these materials that weigh very little, have very little commercial value, and are much more toxic to the environment. Because the recycling calculations are weight based these facilities can landfill these materials and still reach their mandated recycling rate. CDR is committed to the education of the commercial interior community. With regular tours of our award winning recycling facility and educational seminars given to local and international audiences, CDR Inc. is educating people about true diversion and environmental stewardship. Commercial Interior debris is a subset of standard construction and demolition debris. While the components of Commercial Interior debris can be found in traditional debris, it is in such small percentages that the traditional facilities can ignore them. With 27% of the overall weight, Gypsum Drywall is the single heaviest material to come out of commercial interior spaces. Traditional facilities do not recycle this material, sending it to landfill to generate Hydrogen Sulfide Gas that eats away at Methane collections systems. Nearly all wood from commercial interior projects is manufactured lumber. While not diverted from traditional facilities, this makes up more than 10% of the inbound debris at a facility that only accepts commercial interior debris. More than 700 tons of drywall every month is shipped to farmers in Northern California to be used as a soil amendment. This breaks up the clay in the soil and allows the soil to better absorb water and nutrients. This stops the production of more than 125 tons of hydrogen sulfide gas every month. Manufactured lumber is the most toxic aspect of commercial interior projects. When sent to the landfill the chemicals that are in the wood are released into the groundwater. CDR diverts this material to local Waste to Energy facilities where they are used to power generators. With the exception of very few lined of carpet squares commercial carpet is an end of life product. Carpet lasts for thousands of years in landfills and when it does break down it pollutes the environment and makes its way into the food chain. CDR sends the carpet to the same Waste to Energy facility rather than lose the material to a landfill. The “facility average” allows these facilities to recycle only the heaviest most profitable materials and send the lighter, more toxic and less profitable materials directly to the landfill. This keeps costs down, profits up, and their diversion rate high. The public need never know what is actually being recycled if all these facilities publish is their overall recycling rate with no material breakdown. Traditional facilities receive materials from residential demolition, full building demolition, and road, bridge, and parking lot work as well as commercial interior demolition debris. The material that arrives at these facilities consists of much higher concentrations of concrete, asphalt, wood, and other materials. The more toxic materials tend to be lighter and less profitable, and in small enough percentages that they can be virtually ignored. Most Commercial Interior work is required by law to maintain the same diversion rates as larger full building projects. While the City, County, or even third party verification systems like LEED require the diversion on a project by project basis the “facility average” allows these facilities to gloss over diversion for Commercial Interior projects by concentrating on total diversion achieved at the facility. The materials recycled from traditional facilities closely mirror the inbound material. Nearly 75% of all inbound material is made up of wood, inert materials (concrete and asphalt), and metals. These materials can all be sold to end users and generate profit. 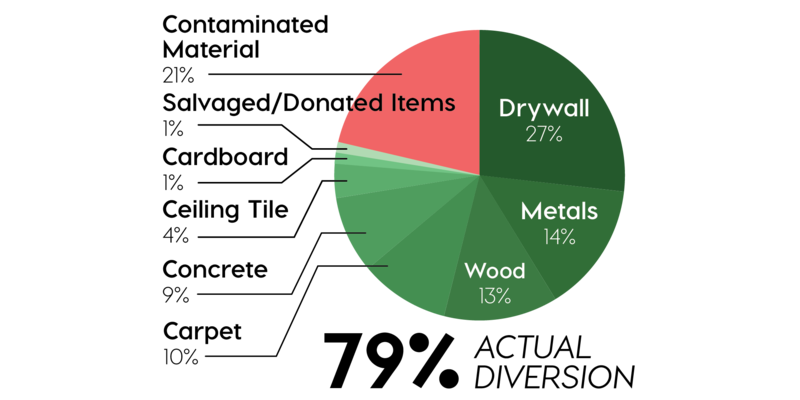 Once the facility reaches their 75% recycling goal there is very little need or desire to recycle the lighter, more toxic debris like drywall, manufactured lumber (particle board, plywood, doors, cabinetry), and carpet. With the materials targeted at these facilities, commercial interior loads are only about 28% diverted, but are granted the higher facility average diversion rate. 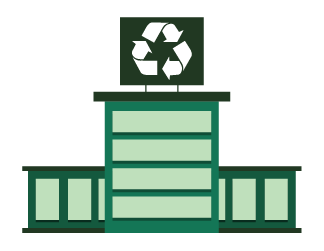 All recycling facilities depend on a “Facility Average” for their diversion rates. This average diversion rate is calculated by using the formula Inbound tons minus tons sent to landfill equals diversion. In short, a facility that brings in 100 tons a day and sends 25 tons a day to landfill would be granted a 75% diversion rate. This weight based recycling rate does not properly explain WHAT is being recycled. The Recycling Certification Institute oversees the national certification program to ensure integrity, transparency, accuracy and reliability in the recovery/recycling reports of participating C&D recycling facilities. Recognized by the United Stated Green Building Council, the Institute uses a rigorous, open, and comprehensive process for developing its protocols. 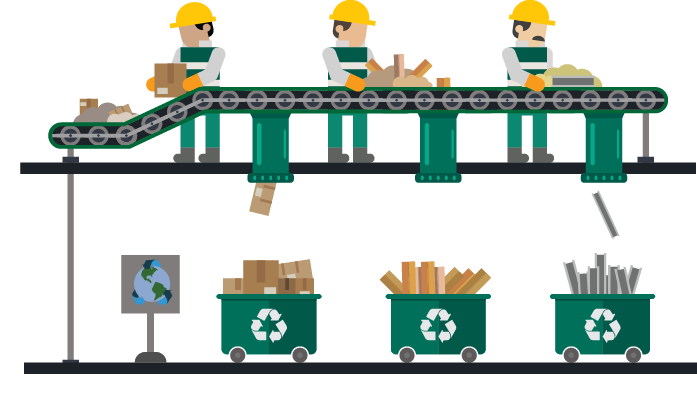 The Institute’s primary focus is on accurate recycling accounting to ensure that the recovery and recycling reports issued by certified facility ties are real, verifiable, reproducible, and reasonable. Facility recovery/recycling data must have been verified by third party for the Institute to ensure the data are complete, accurate, and reliable. Recovery and recycling reports should be within the statistically expected range. In addition, the Institute strives to ensure that the facilities it certifies are not harmful. Facility activities should not cause or contribute to negative social, economic or environmental outcomes and ideally should result in benefits beyond simple recovery and recycling rates. © Copyright CDR INC 2016. All Rights Reserved.